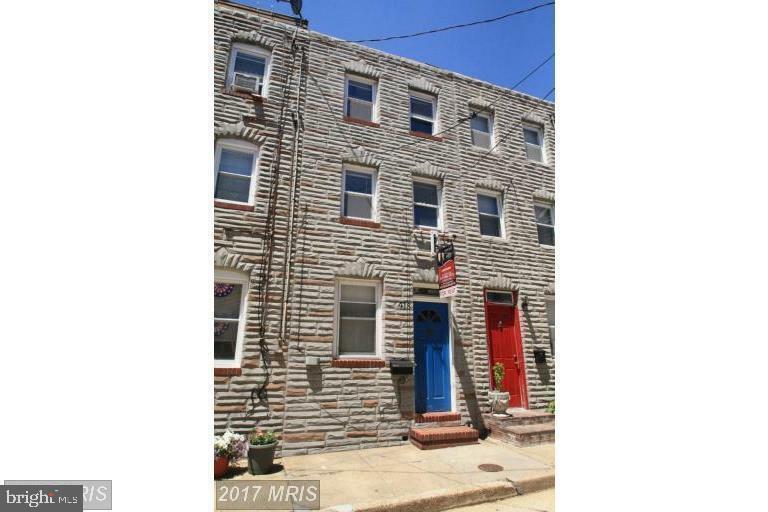 Two bedroom, 1 bath freshly painted house located in the heart of historic Upper Fells Point minutes to all the restaurants and nightlife that Baltimore has to offer. Private fenced in back patio for entertaining guests! Third level is the entire bedroom. New skylight and newly sealed roof. Washer is a mini that hooks up into bathroom, dryer is on 2nd floor!